According to a 2019 U.S. Houzz study, Countertops are the #1 feature to upgrade as part of a kitchen renovation & backsplashes are the second-most popular feature. 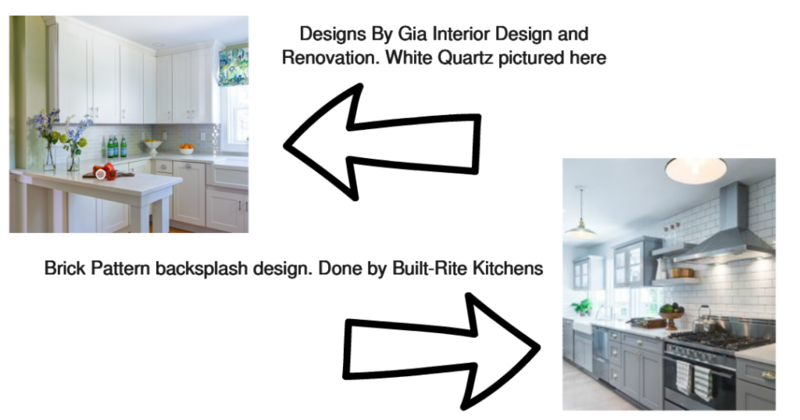 Quartz counters have overtaken natural stone as the top choice for upgraded counters, and White countertops are continuing to gain popularity. Multi-colored countertops followed by Gray are among the popular countertop color trends. The most popular material for backsplashes are ceramic and porcelain tile. The most popular pattern for backsplash tile is the classic brick tile followed by the herringbone and then the grid pattern. White is the most popular color followed by multi-colored backplashes and then Gray.